B & L Glass Company is a full-service glass company specializing in commercial glass & glazing services. Over 83% of our business comes from our function as a contractor on commercial construction projects. Another 11% of our business comes from residential and commercial service work while the remaining 5% comes from walk-in traffic purchasing framed mirrors and glass, screen and mirror replacement. We can provide you with the best glass and door products for your commercial building project. We also have a large residential window, shower door, and door showroom to help you through the decision-making process. 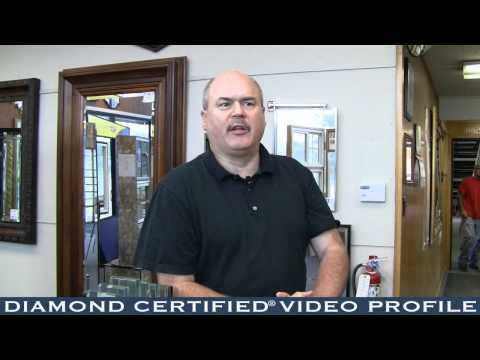 Our trained staff will guide you to the right windows, doors, shower enclosure, storefront, skylight, mirror or other glass product with the budget you have set for your project. We have several top of the line manufacturers that have a wide range of applications. With so many manufacturers we can fill most needs. They made a mistake measuring. When they came to install it, they realized it didn’t fit, so they went back to get the right size window. They were knowledgeable, courteous, and on time. I use them all the time. Their personnel is friendly and customer service oriented. They are there to take care of us. I’ve used them many times. They are very qualified and very pleasant. They go out of their way to make sure it is just what I want. They are highly professional, and they do a fantastic job. I am very happy. They deliver a fantastic product. They are doing a really good job. It’s a great company. Read what over 300 of our customers are saying about us here.